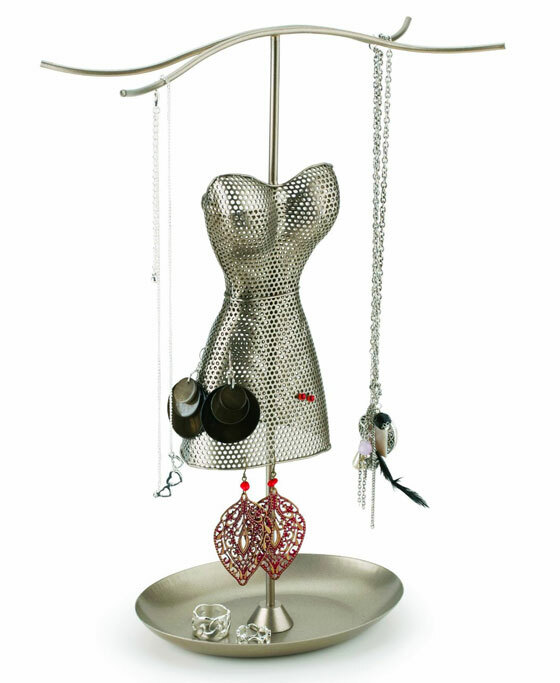 Jewelry stands function not only as holders of your most precious items but also to display them beautifully. They provide easy access and viewing of your jewelry, especially ones that may be difficult to dig out of a drawer like necklaces and bracelets. 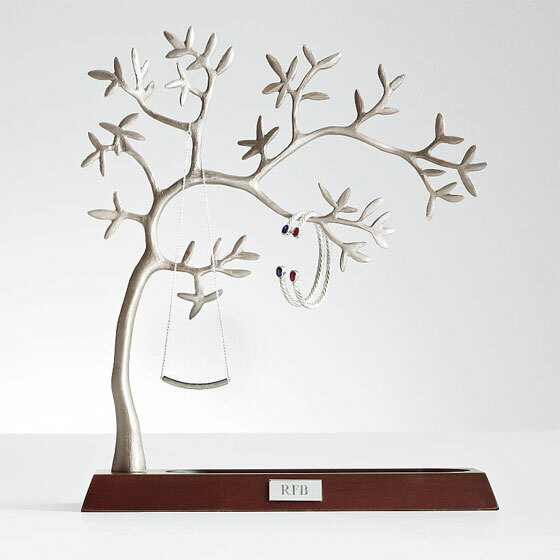 There are many kinds of jewelry display holder out on the market, such as the jewelry trees, ring holders, earring holder, jewelry dish. In this post, we will present you with 15 Modern and Stylish Jewelry Stands, which helps display your jewelry and add decor to your room in an elegant and classy way. Hang your jewelry on the wall, so that you always know where it is. 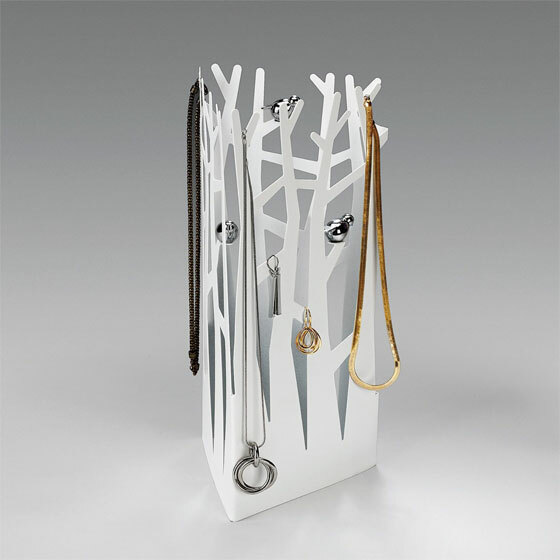 Rings, bracelets, necklaces, earrings – everything has a place on the beautiful new Jewelry Hangers. The design is strong and sculptural with its organic shapes, inspired by the nature surrounding us. 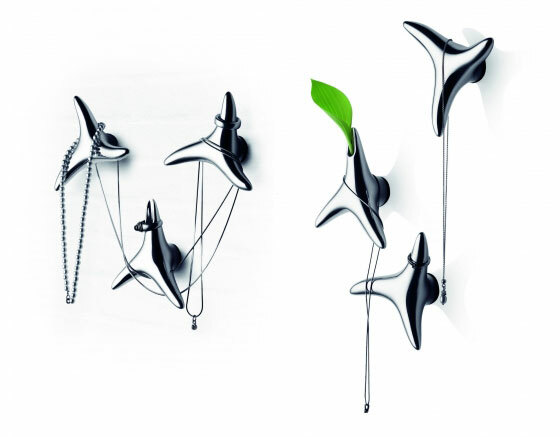 The 3 Jewelry hangers are different and can be combined by you to create a design. One of them has a hollowing, use it as a mini-vase or as you wish to create a beautiful, feminine environment. The Jewelry Board “Protect your Jewels”, for necklaces, rings, bracelets, etc., is available in a limited edition, individually numbered and signed by the artist. 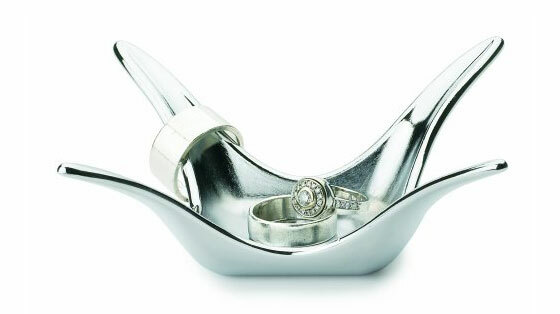 An attractive way to store your rings and other small essentials, ringling is a die-cast aluminum jewelry dish. Provide a place for her jewelry collection to grow. 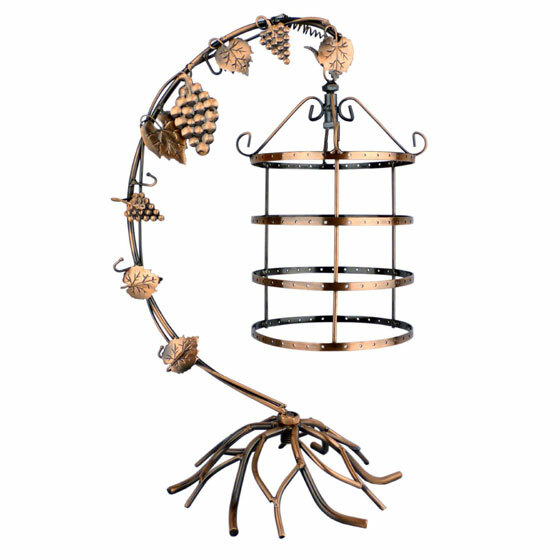 Each branch and leaf has been sculpted to hold rings, bracelets and necklaces, creating a well-ornamented tree. 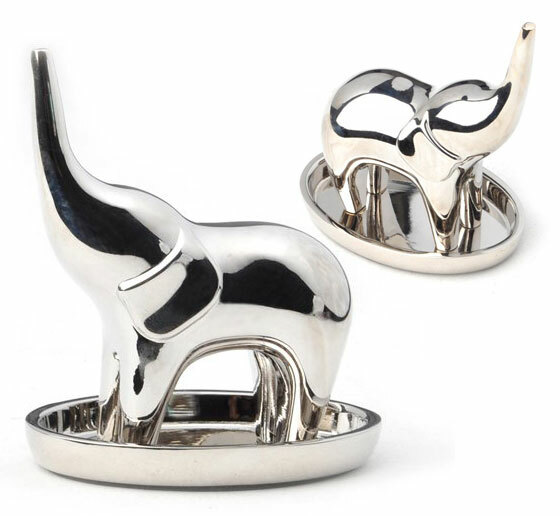 * crafted of brass and finished in beautiful satin nickel. Sleeping in a fairy tale story is every girl to dream off. 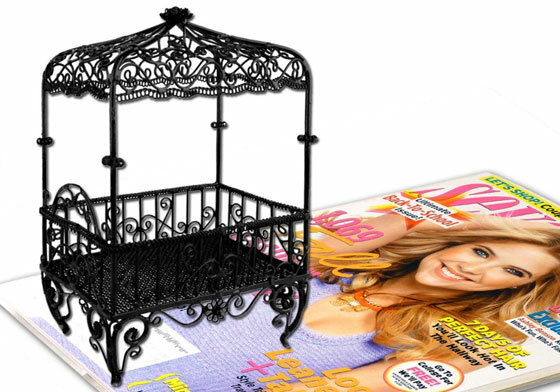 This jewelry organizer bed with Victorian canopy style let’s your jewelries fulfill your dreams. Embellish it with your earrings, necklaces, bracelets or small items and keep your jewelries free of messy tangles. 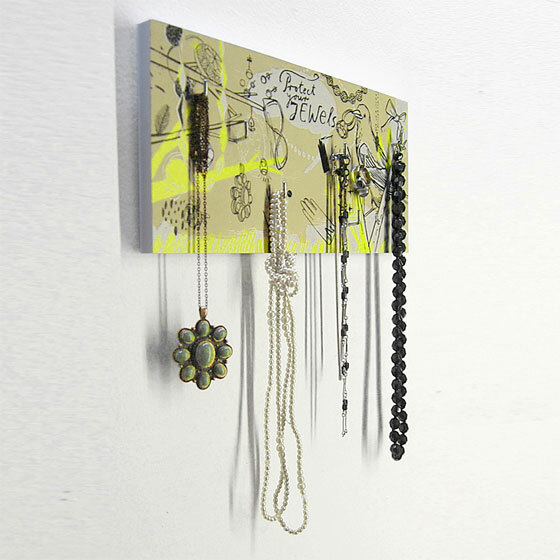 Save space and display them with this vintage jewelry display rack. A great alternative storage organizer to a jewelry box on the chest, dresser or bathroom counter. 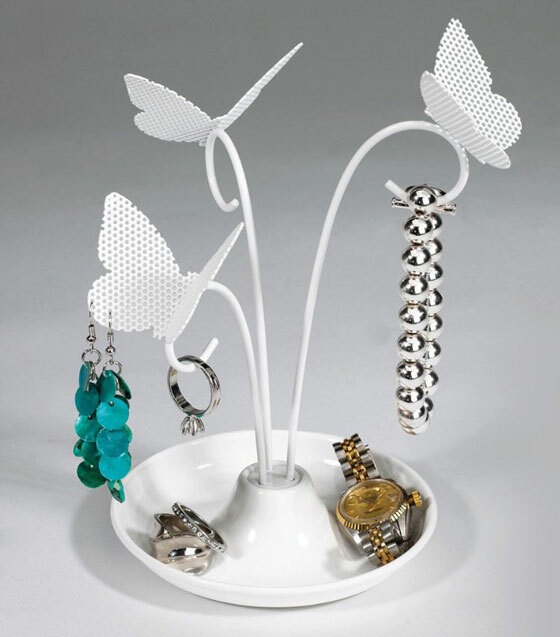 4 Tiers 360 degree Rotating Spin Table Top earring holder holds up to 72 pairs earrings while 5 curved hooks organize your necklace and bracelets. 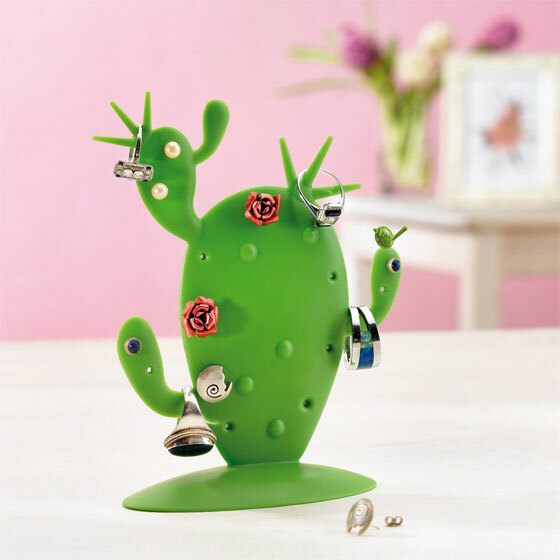 Great as a functional jewelry organizer or as a simple decoration. A great alternative storage organizer to a jewelry box. Bronze color finish wire display stand. 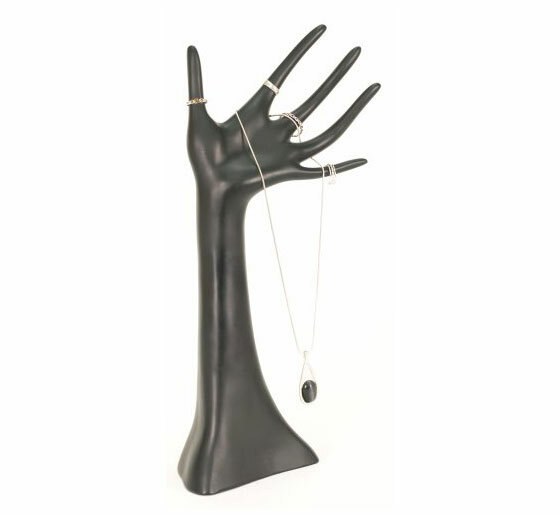 Utilize this attractive hand display to highlight necklaces, bracelets, rings and other jewelry items. It is a great item to use in jewelry showcases and kiosks, on countertops or in other promotional areas and store fixture layouts. It is also used in the home to organize jewelry on dressers, vanities, etc. 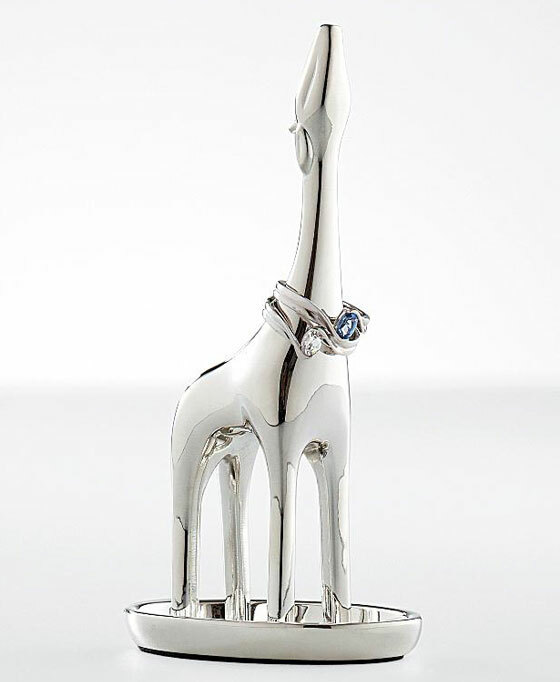 Famous for both its long neck and generous heart, the giraffe is revered in Africa as a symbol of love. 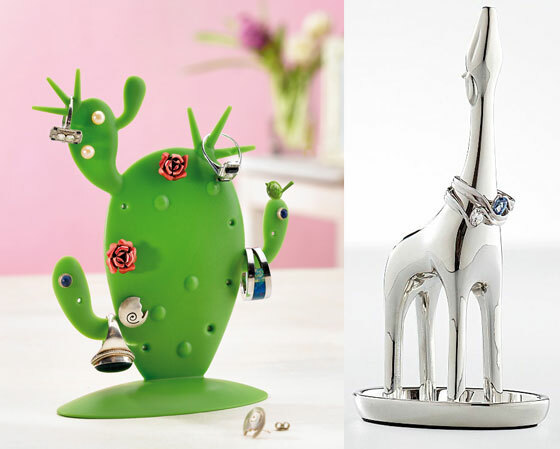 Ours makes a charming statue for the rings she adores. The Milk Crown Tray was inspired by the beautiful yet ephemeral crown-shaped structures created when a drop of milk splashes into a larger amount of liquid. Doesn’t your jewelry deserve a tray of equal beauty? 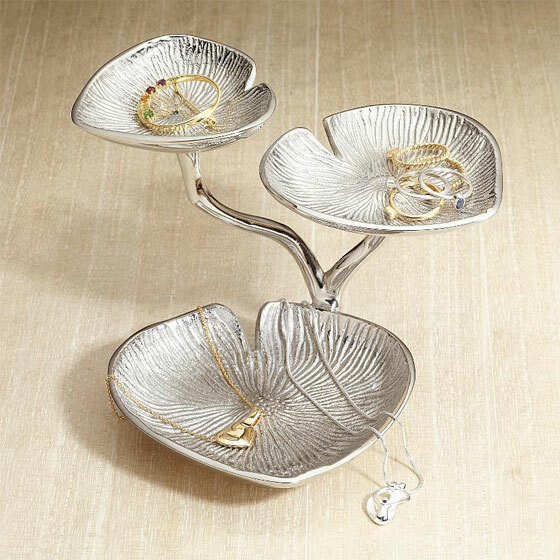 This very modern and airy looking jewelry tray will highlight your best jewelry and it will look great on your dresser too.